We have wonderful Christmas season and Happy New Year holiday. It is also called winter holiday in Pakistan. Pakistan has four seasons: a cool, dry winter from December through February; a hot, dry spring from March through May; the summer rainy season, or southwest monsoon period, from June through September; and the retreating monsoon period of October and November. Children are very happy to enjoy Christmas and winter season/holiday. They spend full time with their families. They enjoy reunion and cheerfully smile to meet and greet to their parent and relative. 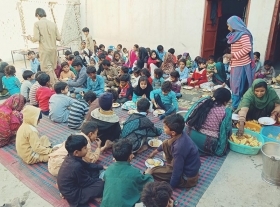 During this month of December 2018, we organized twelve home church meeting and share the Gospel with three hundred male/female, distribute five small food package to our Brickyard family, distribute food and school/educational stationary to our two hundred and thirty children in our two ministry center. The group members, children and brickyard families are thankful to your great love, prayers and continues support to us. We organize twelve prayers meetings. 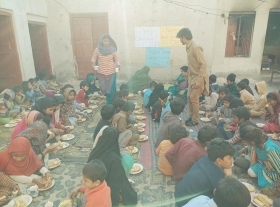 The ten prayer meeting was held in Christian home in surrounding area of Toba Tek Singh and we organize Christmas special prayer meeting in our Saint James Primary School and Least of These Center. We share the Good News with our some three hundred male/female. 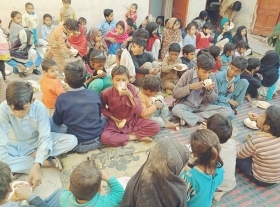 The Christian families from Brickyard kiln are very happy that we visit them during the Christmas and organize four prayers meetings with them. We are singing songs that are related to Christmas and ready to welcome our King. 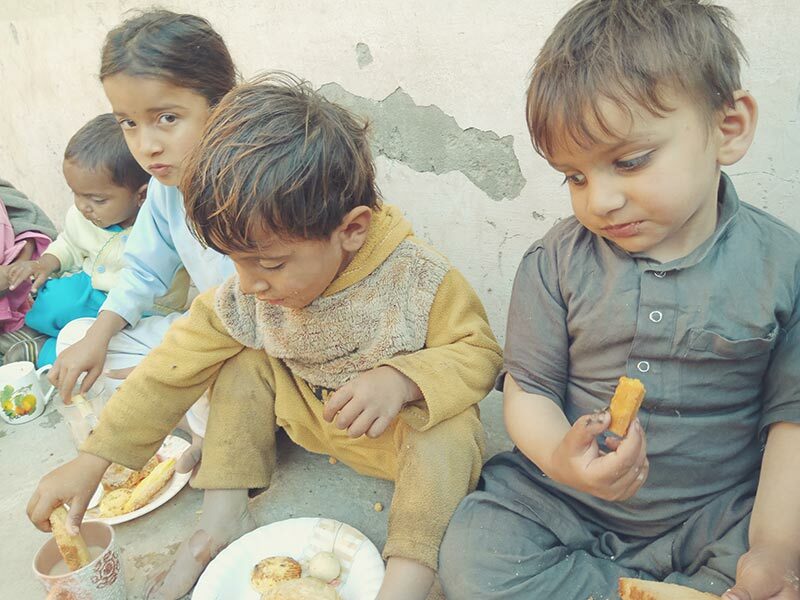 God has blessed us with five food package. So we give our five small food package to our five Christian brickyard families. They are so excited to received this Christmas gift and said thank you so much. We celebrate Christmas and Happy New year in our SJPS. We are thankful to your great sponsorship to feed our one hundred and twenty children in our Saint James Primary School. 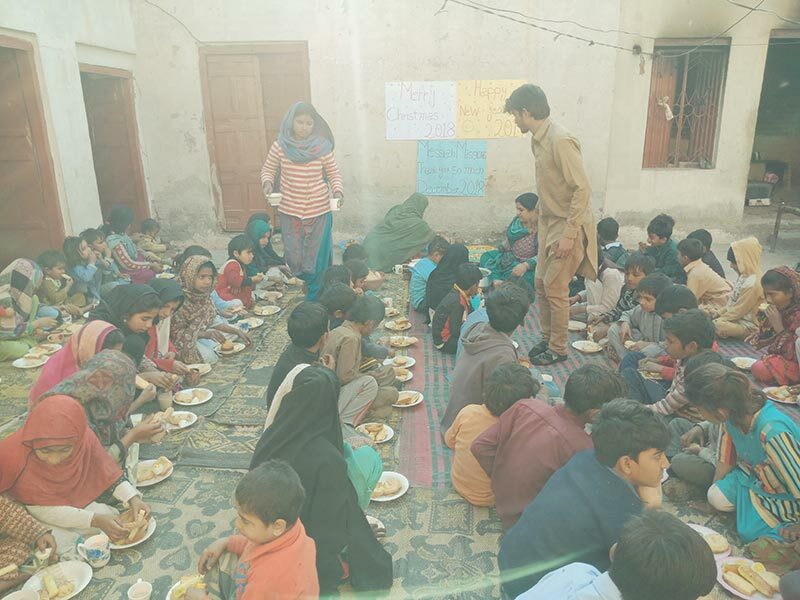 We serve them with Biblical Education, foods, school stationary and formal education. They are blessed by your prayers and love. We are in final terms exams in formal education. We celebrate Christmas and New Year in our Sunday School. We serve 70 children in our Sunday School. We have two Sunday school. One is from St, James Primary School and two is from Least of These Center. In Sunday School, we learn, how to pray during this month. How we serve our God and ask in Jesus name. We learn the Christmas singing songs. We celebrate Christmas and New Year in our BEC. We organize two The Bible Evening Class. One is in St, James Primary School and another is in Least of These Center. 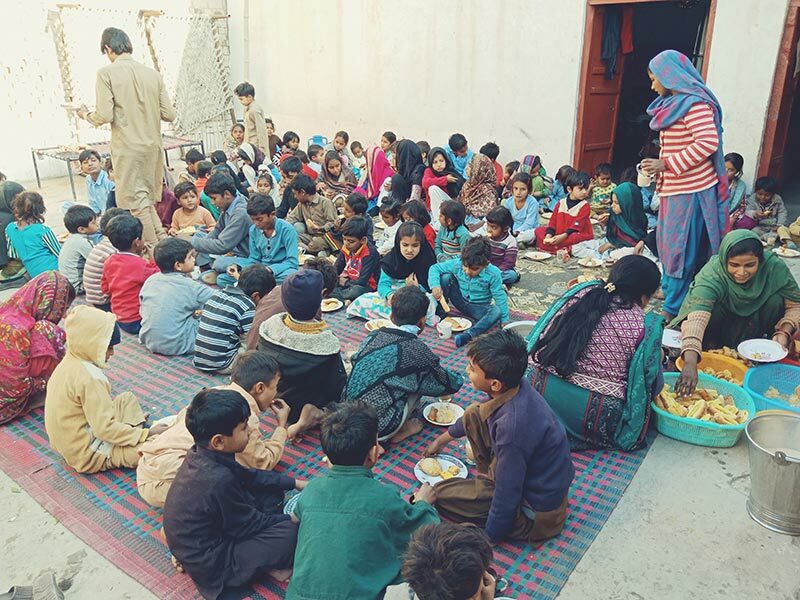 We serve 180 children in our Bible evening class. We read from Bible and share the good news with our children, elder and adult. We rejoice and happy to enjoy Christmas event and new year event.